Antiquorum's Important Modern & Vintage Timepieces sale on 15th April offers an incredible collection of 272 timepieces, including watches by A. Lange & Söhne, Patek Philippe and Rolex. Click on the watch to check out the auction. Patek Philippe Ref. 5139 Perpetual Calendar in white gold . First sold in 2013, this 18 karat white gold wristwatch is complete with a perpetual calendar. Stepping away from the luxury wristwatches is something for the pocket watch collector. 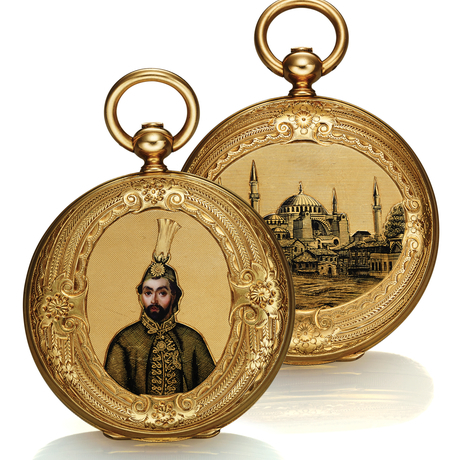 Pictured is a portratit of Abd-Ul-Mejid Sultan of the Ottoman Empire Pocket Watch in yellow gold. Made for the Turkish market circa 1850,the 18 karat yellow gold watch has an enamel hunting case. The back cover of the watch is decorated with an engraved and black enamel view of the Hagia Sophia mosque in Constantinople. 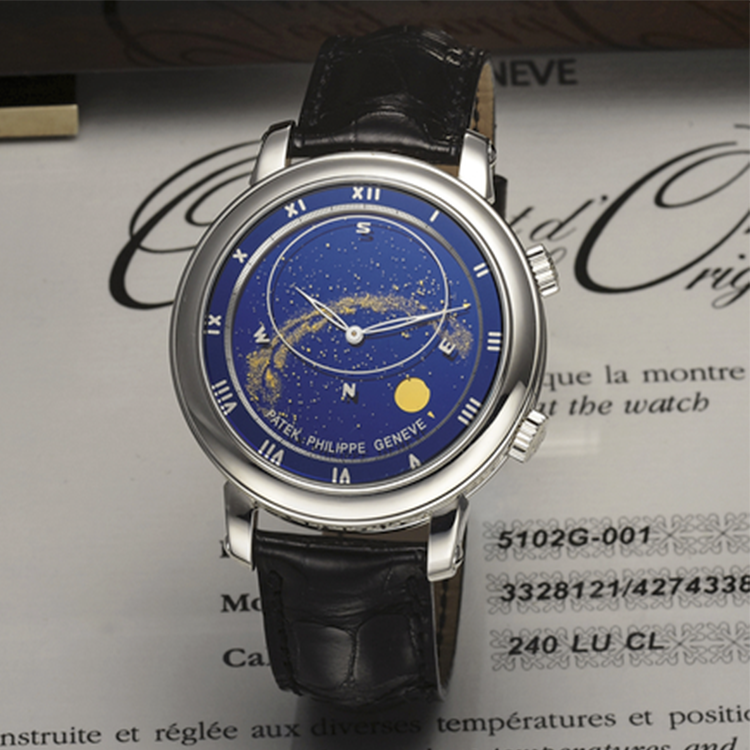 One of the star lots of the sale is this A. Lange and Sohne Ref. 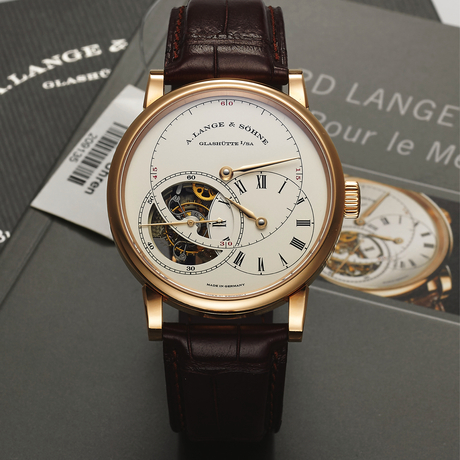 7604 Richard Lange Pour Le Merite Tourbillon in pink gold. 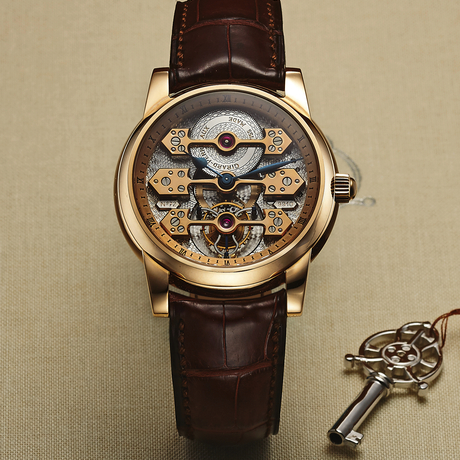 The piece was made in 2013 and has a visible one-minute tourbillon, off-center hour dial, large central minute dial. This Patek Philippe Ref. 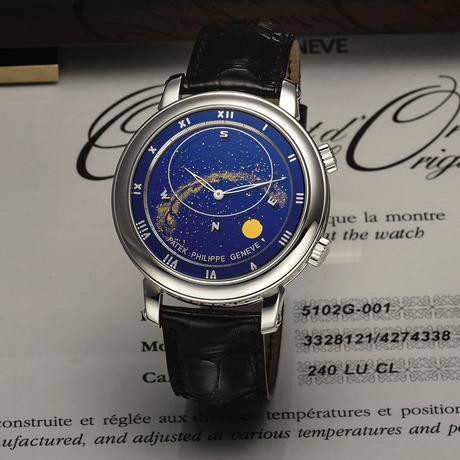 5102 "Celestial" produced in 2006, is a rare and unusual astronomic 18 karat white gold wristwatch with mean time indication, nocturnal sky chart of the Northern Hemisphere, moon phases and moon orbit, time of the meridian passage of Sirius and moon. It truly is a stellar timepiece. A timepiece of master craftsmanship by Girard-Perregaux Tourbillon made in 2007 will be on offer. The piece is entitled Three Gold Bridges in Pink Gold. It is beautifully crafted in 18 karat pink gold with one-minute tourbillon regulator under three gold bridges.